We are dedicated to providing you with the best customer experience possible, enhancing your ownership experience, keeping your machines and your business running smoothly. 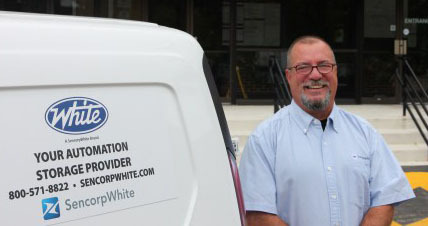 “Carl Bliss is by far the best service tech we have had at Norco. He is willing to dig in, get dirty and solve whatever problems we may have. You should be proud to have him on your team.” -Jim C.
“Douglas Flook has been servicing our equipment and responding to repair calls since I began employment in the OKC Vital Records office in November 2012. Mr. Flook demonstrates outstanding customer service and is professional and personable during his visits.” -Dovie H.